Salisbury May 14 2012. 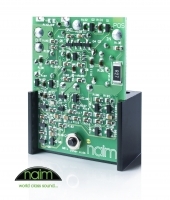 Naim today confirmed that it had completed a two-year project to design an improved voltage regulator to be used in its power supplies. 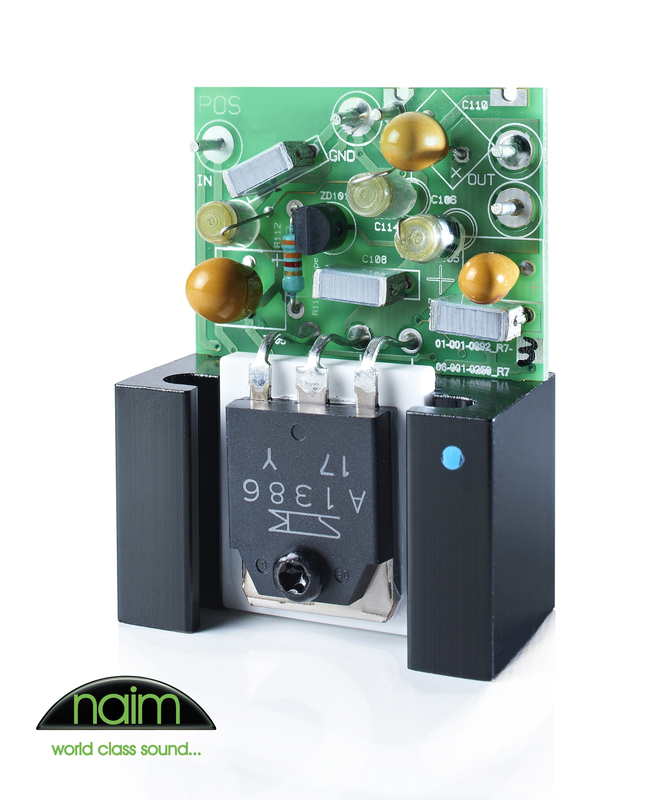 The new Naim Discrete Regulator (DR) is currently being fitted to the HiCap, XPS, SuperCap, 552 PS and 555 PS commencing May 14th 2012. 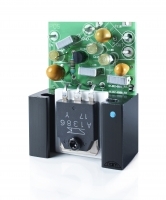 The power supplies fitted with the new Discrete Regulator deliver a significant and repeatedly demonstrable performance increase. Naim retailers worldwide will be in a position to demonstrate these improvements as they receive stocks of the new DR Power Supplies. A regulator circuit of almost this form was first used in the NAP 500 power supply, since when the concept has been further refined by incorporating an enhanced voltage reference. This topology, which was benchmarked against various alternatives and refined over the two year period, has proven itself to be inherently low noise and capable of fast recovery to transient current demands. It also has the advantage that it works equally well for both positive and negative supply rails. 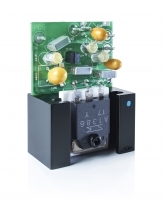 As in all Naim circuits, the components used in the Discrete Regulator were carefully selected to optimise performance in listening tests. The compensation capacitors in the amplifier stage are polystyrene types, just as used in the NAP 500; the filtering capacitors are film types, not microphonic ceramics; the decoupling capacitors are tantalum electrolytics not aluminium electrolytics; and while extensive use is made of surface-mount components, the critical feedback resistor in the amplifier stage is a selected through-hole type. 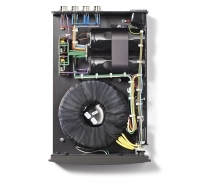 Significant as it is, the Discrete Regulator is just one part of a Naim power supply, Naim has reviewed and optimised every aspect of the five power supplies into which it has been incorporated. Transformer mounting, wire gauge, wire routing, mechanical decoupling, internal layout and reservoir capacitors have all been scrutinised to ensure that the DR’s benefits are fully realised. 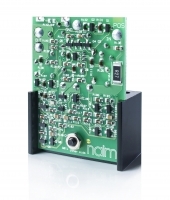 The addition of outboard power supplies offers an established upgrade path for many Naim products, enhancing sound quality by improving the supplies themselves, by removing the electromagnetic field of the transformer and interference generated by the rectifier diodes, and by eliminating transformer vibration from the product case, so it cannot affect the circuitry. 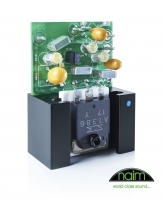 Voltage regulators are widely deployed – sometimes in series for enhanced performance – to ensure that Naim’s audio and digital circuits operate with a stable, low noise supply voltage, thereby maximising their performance. What is a voltage regulator? the Naim Discrete Regulator Naim has created a discrete-component regulator that betters industry standard monolithic voltage regulators in these respects and, even more importantly, has had its design and component selection refined in the listening room to deliver maximised sound quality from Naim’s audio circuits. It is possible to retro-fit the new discrete regulator, however the task is complex. As such only a highly trained technician can update units. Only a handful of service technicians outside of Naim’s Salisbury facility will be able to undertake this. 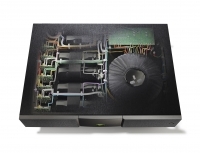 Naim is offering a special reduced price to trade and end customers for updates to the new specification for power supplies that were shipped from Naim after 1st February (outside UK) and 1st March (in the UK). These units will be prioritised for updates in the first instance, however from October / November 2012 all existing units will be able to be updated. Further information, including prices for these updates, will be released nearer to the time. 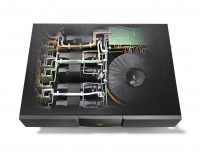 Customers wishing to enquire further about updates to existing units should contact their local Naim retailer.